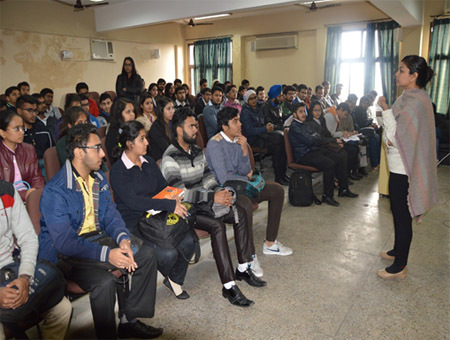 The Department had organized a session under the title “How to appear in GD and PI” on 21st January, 2016 for BCA-IInd Year students by Ms. Mahima Gupta, Assistant Professor. Ms. Mahima discussed in the session about strategies and tips on how to tackle GD and Interview questions during the placement process. She has explained the do’s and don’t in GD and PI with various examples. The objective of the session was to enhance the confidence of the students in situation like GDs and PIs. The session was very Interactive and proved to be extremely beneficial for the students.